The HW510V has been designed for use in customer care centers, help desks, telesales, and customer service centers where users will encounter the rigors of call-intensive environments. To this end, the HW510V has been designed to help minimize operational disruptions and downtime while also maintaining the comfort of those using it. The HW510V has been designed with a flexible and noise-canceling mic, which can also be adjusted using the visual and tactile microphone positioning guides. There is also a soft ear cushion and Quick Disconnect, while wideband audio (up to 6,800 Hz) helps deliver rich and clear audio and reduce listening fatigue. Additionally, SoundGuard technology helps protect against noise spikes above 118 dBA. The HW510V is also durable and has been constructed with laser-welding and metal joints. 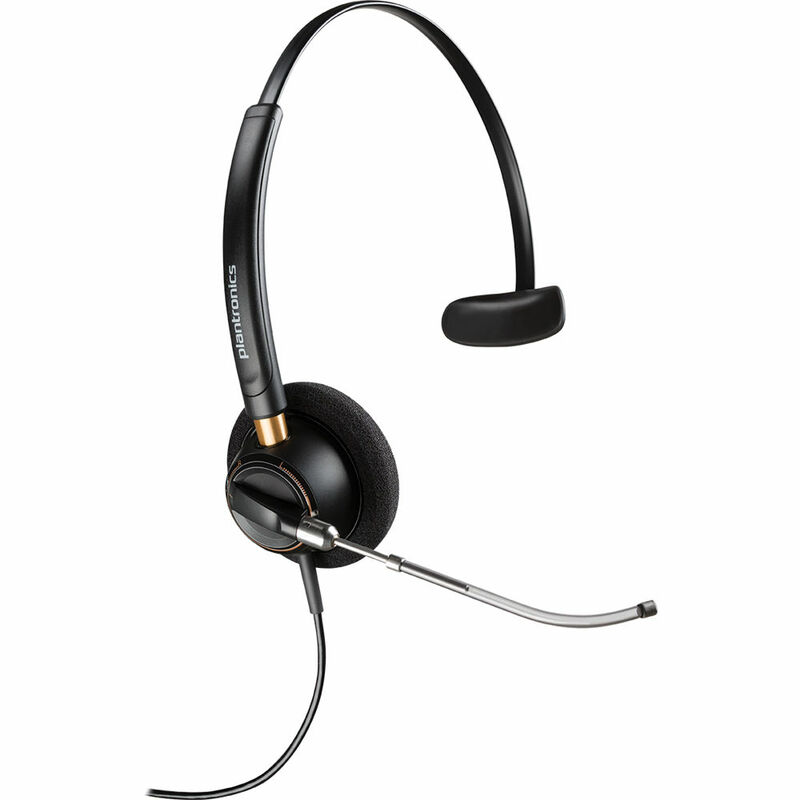 Box Dimensions (LxWxH) 7.008 x 5.433 x 2.126"
EncorePro HW510V Monaural Voice Tube Headset is rated 3.7 out of 5 by 19. Rated 3 out of 5 by cindinj from Quality sound but OUCH I'm using this for call center work at home so I have to wear it for 8 hours a day. Every time I've used it I have a headache by mid-day. There is no adjustment across the top for head size and I have a smaller head - but it's too tight. It grips my ears so tightly that they actually hurt after a few hours. Not a great design. Shopping for something new. I wil say the sound is fine. Rated 5 out of 5 by cKurber from You can adjust no matter what size head you have it can be adjusted. The metal band will flex to make it smaller or larger. Rated 5 out of 5 by Queentel from Excellent Headset We are limited in Budget and these headsets are a wonderful headset. They are adjustable and comfortable to wear. My central station girls gave them all thumbs up. From my past experiences with Plantronics I knew they would be a hit. Plantronics knows headsets. Rated 2 out of 5 by CFarley from Not impressed with durability I was searching for a durable headset for a call center environment. So far we have had two stop playing audio, one had the plastic housing for the adjustable over the head piece crack, and one had the thin wire rip out. Oh, and one had the buttons installed backwards, so hang up is mute and mute is hang up. So 1 in 10 have had problems in 4 months of use. I am pursuing warranty replacements but the hassle of it is an additional annoyance. Rated 5 out of 5 by Risa from Works great with our phones We have Broadview as our landline carrier and these headsets work great with the phones. They allow us to be hands free and use the computer while on the phone with clients and customers. You need the correct adapter depending upon your phone.